Bandits wield guns to relieve us of cash, jewellery and such valuables. Banks use lawyers to seize our cars or homes when we are down and out, as many among retrenched workers will find out over the next year or so. In the current economic recession, I see bankers as being deadlier than bandits. 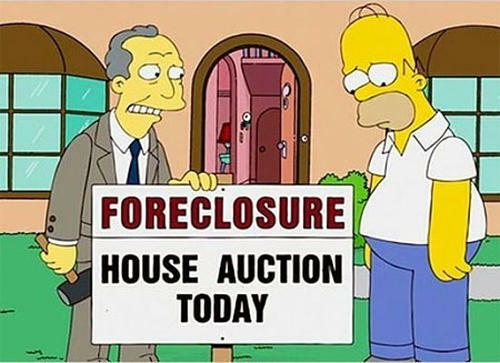 Foreclosure is one of the dirty words in the lexicon of harsh economic times. The others are retrenchment, repossession, eviction, shame, hunger, begging, suffering… You get my drift. Banks foreclose on properties—and I confine my comments to residential real estate owned and occupied by single families—when the mortgagees cannot meet their monthly payments. In a recession, such situation arises when the only or main breadwinner in the home loses his job. It matters not that he (or she) has dutifully paid every instalment for 20 of the 25-year mortgage, or is a first year homeowner. Banks are not moved by your plight of having held a steady job and been a good customer who has fallen on lean times through no fault of yours. Or that you are a victim of the economic times, someone who would likely bounce back within a year or so by landing another job or venturing into business. 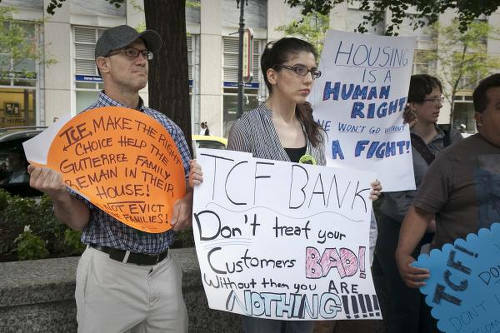 Photo: Home owners protest against bank foreclosures in Chicago. Almost overnight, families that did everything right—educate themselves, save to acquire a house, eschew wasteful spending, and are bringing up their children properly—are evicted, thrown on the streets, forced to seek refuge with relatives, or, as happened during the recession of the 1980s-1990s, flee the country and start all over again in a strange land. What angers me is that usually these victims are model families, the bedrock of what good is left in the society. They are invariably skilled workers or professionals who are in their forties, who do not lean on the State for subsidised housing. They build their own, or buy properties on the open market, and secure loans that they can afford given their household incomes. Then unexpectedly, the national or global economies go into recession, they are retrenched, and their dream homes turn into nightmares. One would think that the banks—all of which make huge profits every year whatever the economic climate—who hold billions of depositors’ dollars in their vaults on which they pay zero interest, who impose an array of charges for transactions and even no transactions, and who increase their loans’ rates almost whimsically (currently more than nine percent), might exercise some discretion, extend some sympathy by deferring payments on mortgage loans for maybe a year to allow customers time to recover. Photo: The economic rainy day is here. And it’s a bad one. 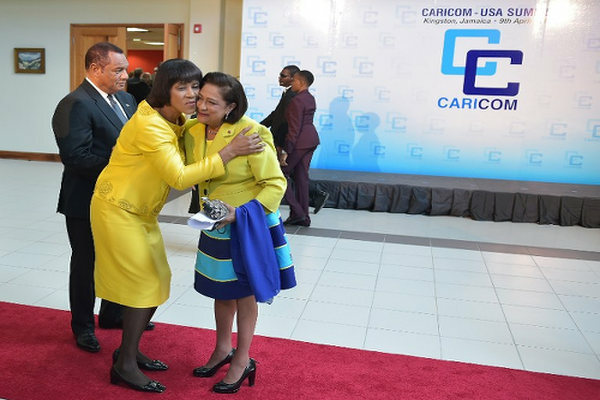 In the short-term, such merciful acts might cost them less than TT$100 million annually, and in the medium term they will recover all monies owed to them—with added interest. But the quality of mercy is unknown to the modern-day corporate Shylocks. They demand not just their pound of flesh, but gallons of blood from people who have fallen on hard times: kick them when they are down! Worse is what happens to the properties they seize. The only persons who can afford to buy them at basement prices are the filthy rich—many of whom have come by their loot not through hard work or wise investments, but by milking public funds through contracts and contacts—and criminals who are awash with tainted money they need to launder. 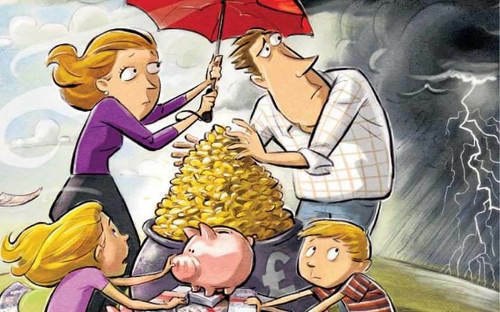 The average middle class family seeking housing, and seeing what has happened to those who had to surrender theirs, will hardly enter into mortgage arrangements at this time. 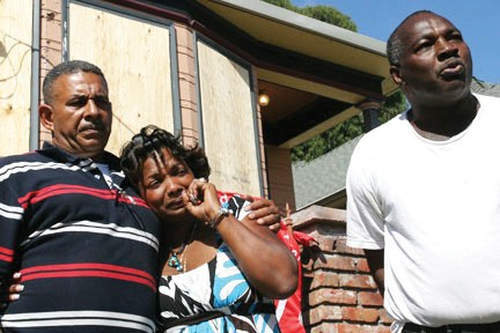 Photo: Tosha Alberty, her husband, four children and two grandchildren were evicted from their Oakland house after First Franklin Mortgage Services, owned by Merrill Lynch and Bank of America, foreclosed on the home in July 2009. If I appear to be harsh on bankers in anticipation of the trauma they are about to inflict on many good citizens, I do it because I expect them to think creatively, to come up with solutions to a short-term challenge—the recession will not last forever—that big banks in bigger economies have refused to explore. There was no “housing bubble” that suddenly burst, as happened in the USA in 2008. The victims were not living beyond their means. They played by the rules. They deserve better—at least to be allowed to keep the roofs over their families’ heads. The banks will hardly budge, though. Government should intervene through its mortgage finance companies, rescuing the victims from a fate worse than death. For bankers, I recommend they watch Michael Moore’s movie “Capitalism: A Love Story” available on Youtube for free; no interest, no hidden charges. I have noticed that the Tbill rates have creeped above 1%. Since interest rates fell almost 10 years ago, interest on loans have gone back up but deposit rates have stayed low….how is that possible?? Work out how much profits these bandits without a gun are making on just that alone. Doesn’t take into account the profits from service charges and the difference between the buying and selling rates for foreign currency…..
Banks are more Enemies than Friends to the population ..
Add the supermakets and any other group who used the recent VAT changes to increase their prices.